Treat Planet Turkey Chew – $7 Value: Protein packed, American-made dog chew with no artificial fillers, coloring, or preservatives! Pet Qwerks Pawpcorn – $10 Value: This toy is already a house favorite and has been swimming with Nala! Simply Fido Hot Dog – $11 Value: Another house favorite! This is an all organic plush perfect for big or small pups! 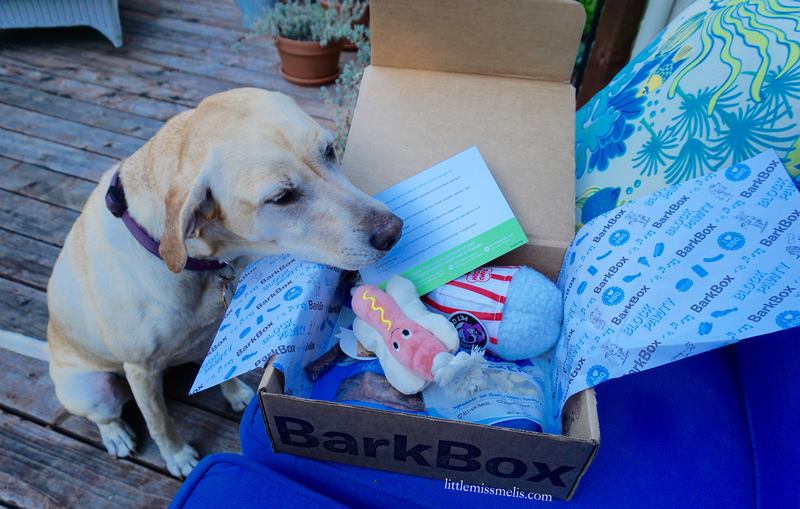 BarkBox is always a house favorite and its great to throw some new toys into the mix every month! Sign up HERE – you can get a monthly subscription or even just a single box. This also makes a great gift for any dog lovers you may know! 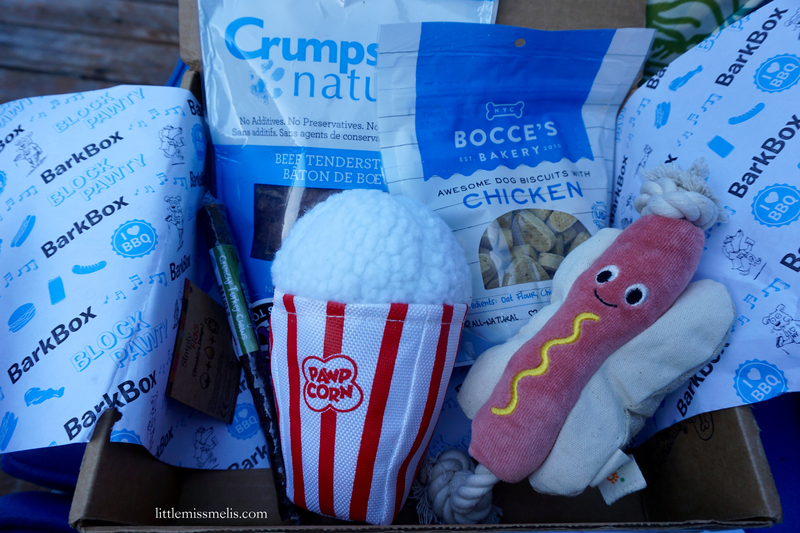 I have been doing barkbox for a year and I love it! Such a fun thing to do, and my pup loves it! !